ZUMBA PROM Zumbathon benefitting the fight against Cancer!! 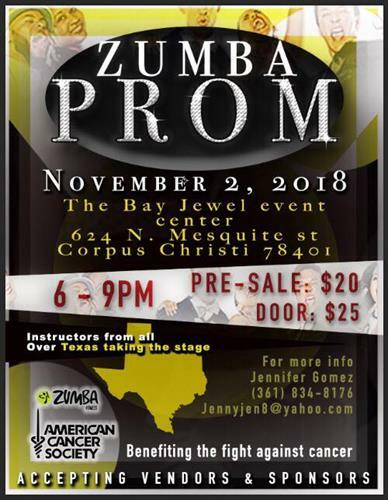 If u love zumba and have never been to prom welllll here’s your chance!! Mark your calendars for November 2, 2018!! The Bay Jewel Event Center.